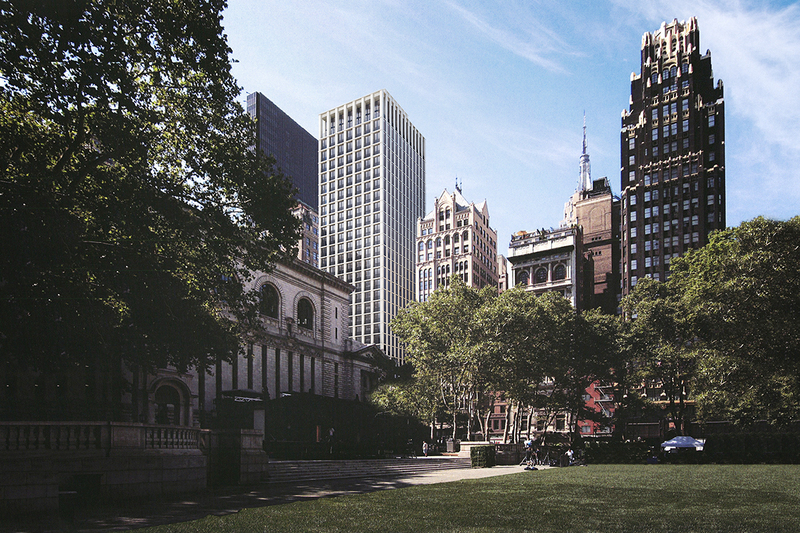 "An updated rendering of a ground-up, mixed-use tower along the south side of Bryant Park has been revealed on HFZ Capital Group’s website. The storied site at 20 West 40th Street was acquired by HFZ after Fortieth St. Partners defaulted on a $44 million loan back in 2010." Do you live in Nairobi? That's interesting. Well, it really fits in well with its illustrious neighbours...NOT! At least it's not right next door to the Bryant Park Hotel's Art Deco gloriousness. Hmmm, I quite like it. What's it like on the inside, stache? I'd like to see what Robert AM Stern can do with that site. It certainly can't be worse than all these other ones. It's my deadhead stopover of choice. I walk by this every day and am not remotely excited. what a wasted opportunity.